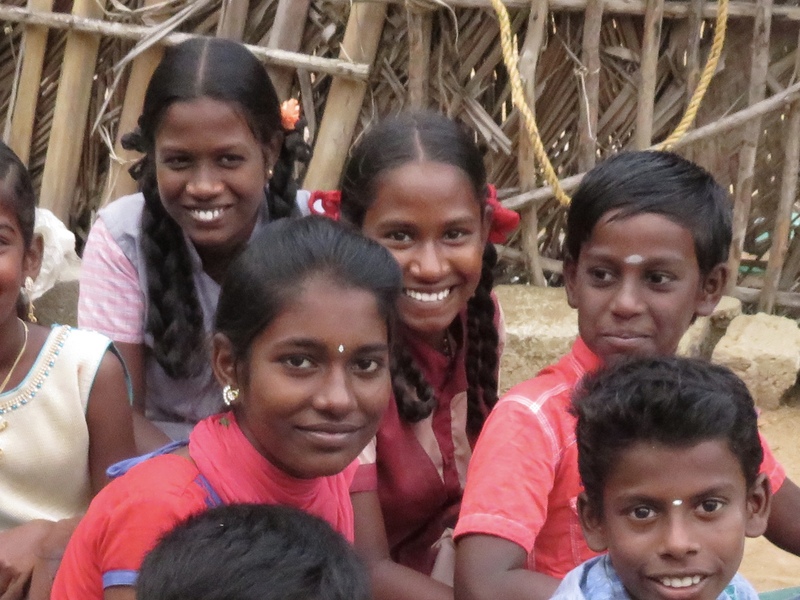 Selvamani is a widow with three children. Her husband was killed in a road accident shortly after the birth of their third child, and her situation seemed so hopeless that she planned to commit suicide. 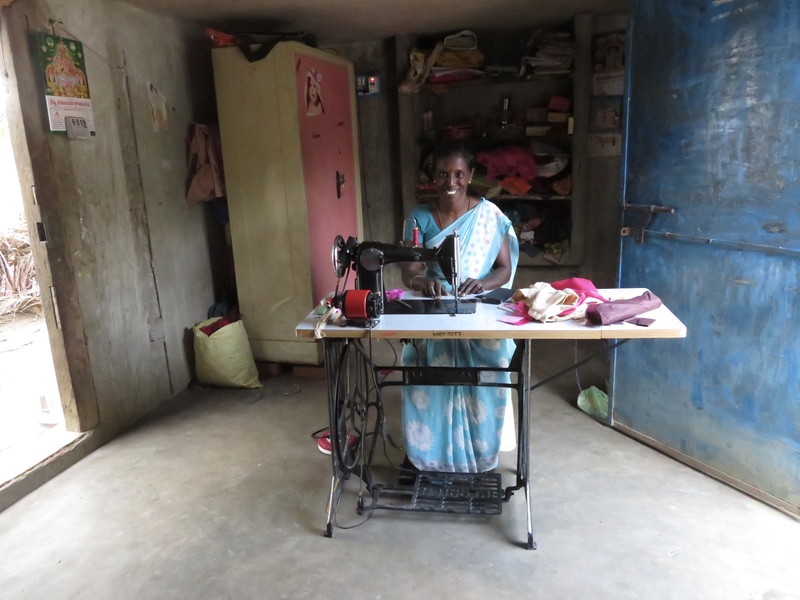 Learning of her plight, Martin added her children to the after-school program and gave Selvamani tailoring training so she had the means to earn an income. Just last year she received a sewing machine from us as part of our orphan/widow program, and her daughters received bicycles to help them get to their distant school safely. Life was still quite hard for her, but her father helped with small financial gifts, and that was enough to get by. Life took another turn for the worse last fall when her father died. She no longer receives the financial help, but she inherited a one-room concrete house with no electricity, running water, or kitchen. There is no bathroom so the family uses the bushes outside. There are two doorways into the house, but only one door. Located near a main street, this leaves Selvamani and her two daughters vulnerable, and she fears for their safety. This worry keeps her from sleeping at night. I visited Selvamani and her children to see her situation and chat with her. She is an incredibly sweet woman with a subservient demeaner. Although the caste system is no longer legal in India, it still exists in practice, and this woman obviously considers herself on the bottom rung of the ladder! Although we have various types of projects we work on – education, health, environment, income generation, etc. – in many ways they are just an excuse to connect with people around the world. Our primary goal is to love people and show them they have value. What happened next was, thus, very upsetting to me. I told this gentle, suffering widow that we would help her get a door to her house. Overcome with gratitude, and with a desire to bless me and show me her thanks, she dropped to the ground and bowed at my feet! ACK! I quickly insisted she get up, but I didn’t want her to feel I rejected her love, so I told her in America we show our love and gratitude by giving hugs, and I gave her a big (but gentle so I wouldn’t scare her!) hug. Such an event might not seem out of place in India, but it was certainly a horrifying shock to this American!